Home / android / smartphone / tech / xiaomi / Mi Philippines opens a new concept store in BGC. Mi Philippines opens a new concept store in BGC. 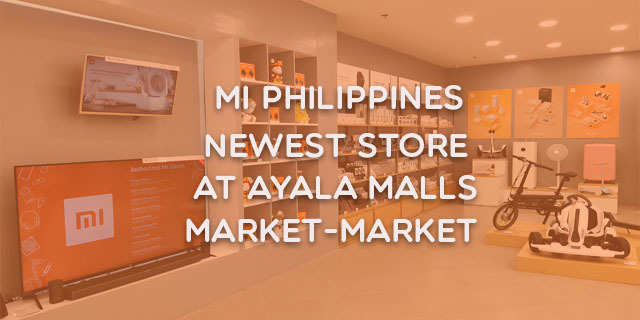 Mi Philippines opens its newest experience store in Taguig City. Located at the 4th floor of Ayala Malls Market-Market in Bonifacio Global City. This experience store is the company's 7th store in the Philippines. Mi fans who wake up early and fall in line to first experience the store and score Mi products at discounted price. The Mi PH Market-Market caters all of the official products of Xiaomi from smartphones to travelling and household products. This makes Mi products more available to more customer's especially for the people who are working around the Taguig CBD. A big factor for Xiaomi as the local city of Taguig support bike lanes around the CBD Area. Consumer's can really enjoy there ninebot, e-bikes or e-scooter here. Mi PH will also have official launch of the Redmi Note 7 in the country this March 20.